Our Spring 2016 LMS Market Report from our new LMS subscription service focused mostly on the United States and Canada. The LMS market, however is increasingly global in nature. LMS suppliers rely on markets outside of US and Canada for growth, and Moodle in particular has a long history of global adoption. Maintaining a US/Canadian view without additional data can be misleading when forecasting the roadmaps and future states of various LMS solutions. 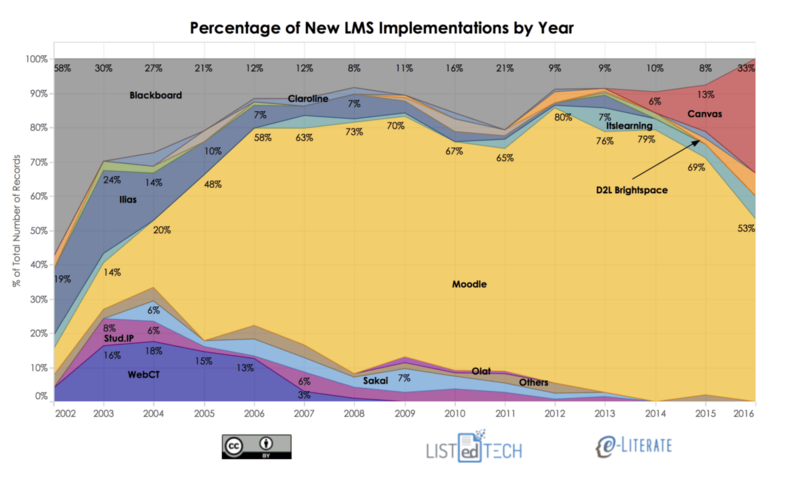 What we haven’t had until now is a view of the LMS market in Europe. Thanks to our partnership with LISTedTECH, we can now share data from more than 1,600 higher education institutions throughout Europe and provide the first independent market analysis for this region. While this report and future analysis is part of the LMS subscription service, we are sharing the initial version freely with a CC-BY license. 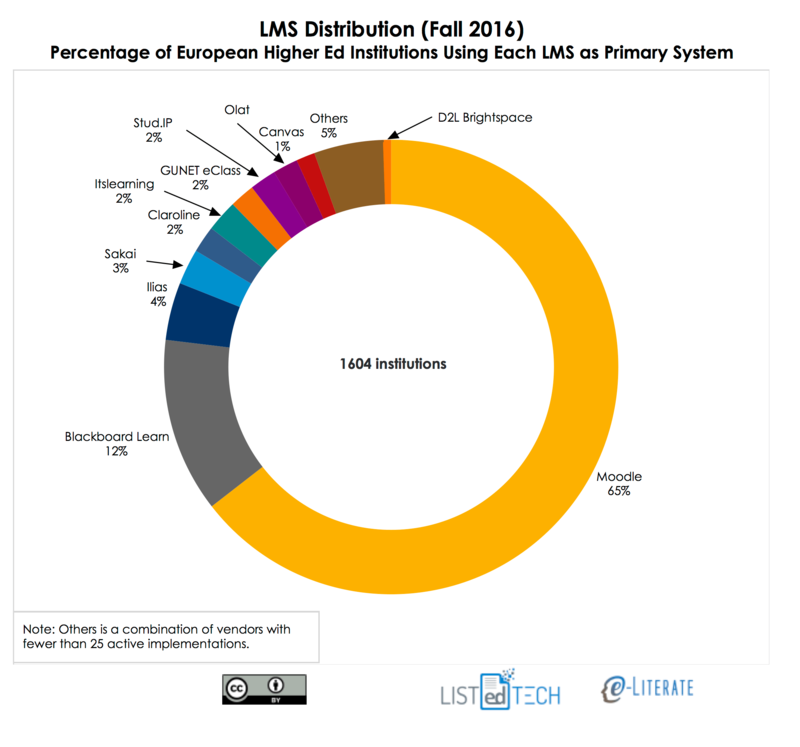 The overall market in Europe has long been dominated by Moodle. But more recently we are starting to see signs of a changing market. Overall, the data indicate that Europe can best be thought of as a collection of regional – or even national – markets, rather than a single unified market, and the report includes country-specific analysis. There's a lot more data and analysis available. You can download the report here. As always, comments welcome. I wonder if there are values available for the individual country shares? I’m referring to the graph on page 7. Cristian – let us check on that, will update by tomorrow. Cristian – follow this link and see if this revision helps. Please note that our data has expanded since the report, with several hundred more institutions listed.